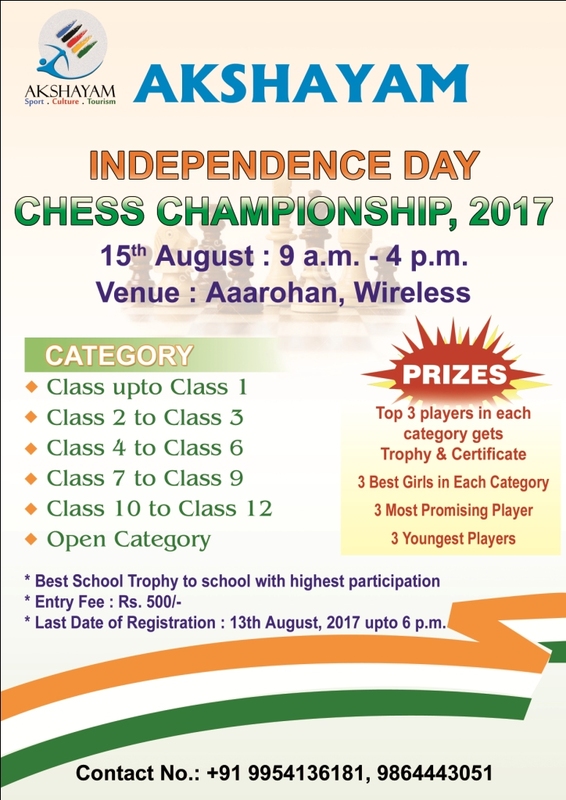 Assam Chess Club, an unit of Akshayam will organize a one day children chess championship among the children on Tuesday, the 15th of August 2017 to celebrate Independence Day at its premises at Aarohon, Wireless. The tournament will be open to all school children upto class 12 and matches will be held in the following category- nursery to class 1, Class 2 to class 3, class 4 to class 6, class 7 to class 9 and class 10 to Class 12. Also a open category event will also be held in which their will be no class restriction. Interested participants may collect the registration form from its office on or before 13th August 2017. For further details players may contact the organizers on 9954136181 or 9864443051.